One of the many functions of Apple’s new gadget, the Apple Watch, is the ability to send your heartbeat to other people that also have an Apple Watch. You can also send drawings you create with your finger. The watch is equipped with a heart rate monitor on the back to measure your heartbeat. Of course, this is primarily for exercise, but Apple also built a little extracurricular into the function. 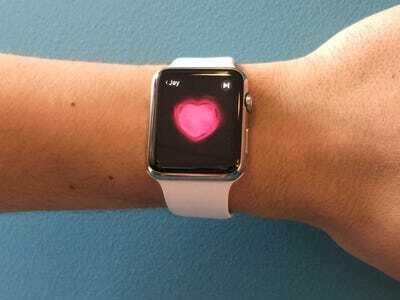 You can get your heart rate reading at any time and send it to another Apple Watch user. Problem is, not that many people have Apple Watches yet. It’s still a very new product. And even those that are desperate for them may not have them yet, patiently waiting for their shipment to arrive. So where do these lonely Apple Watch users turn to to share their lonely heartbeat with the world? Reddit, of course. There are plenty more like these. You can check out the whole Reddit thread here, which as of this writing has 117 readers.